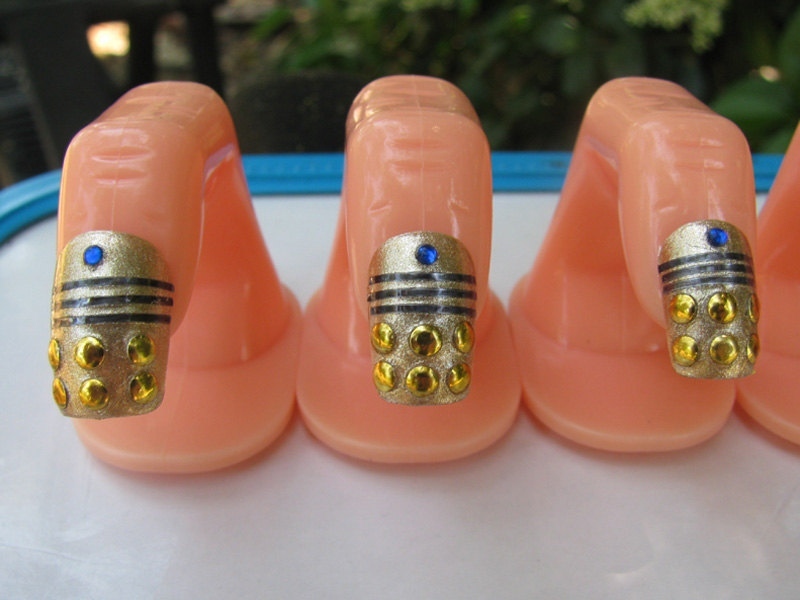 This 3D Doctor Who nail art is probably how a human/Dalek hybrid would give itself away to the Doctor, as it’s Dalek half began to take over. That would be a cool episode. Also, if we ever get a female Doctor, this might be her manicure of choice. They look especially menacing on those plastic finger display models. It’s as if the Autons and Daleks have teamed up. 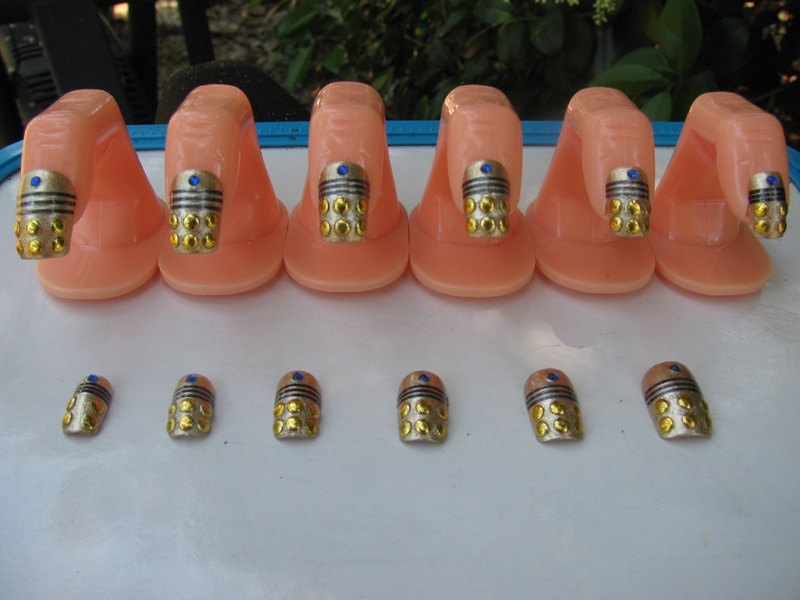 Etsy seller GingerdeadHouse sells these Dalek digit designs for $20(USD) for a full set. They are for the discriminating female Whovian who wants very badly to be a Dalek. As if women’s nails weren’t dangerous enough. Now they can slash and exterminate.